As a business coach and mentor, I strive to make an impact for my clients. In my heart, I know the quality of this impact depends on how I show up each day; that is, everyday, I live out my passion as a mentor helping others lead inspiring, meaningful, highly successful lives. The impact on each client is different. For some, it was simply how to slow down in order to move forward. For others, it was how to discover their talent, celebrate their strengths, and truly step into their power and rock their natural path to a limitless life, personally and professionally. Now, what’s beautiful is that passion is contagious and financial success is torch that loves to be passed on. Often, rockstar clients of TCB in turn help others, in their own way, to also lead inspiring, meaningful, highly successful lives. This inspired us to do even more. See the pattern? There is always more that can be done, a deeper calling for a wider impact to be made. 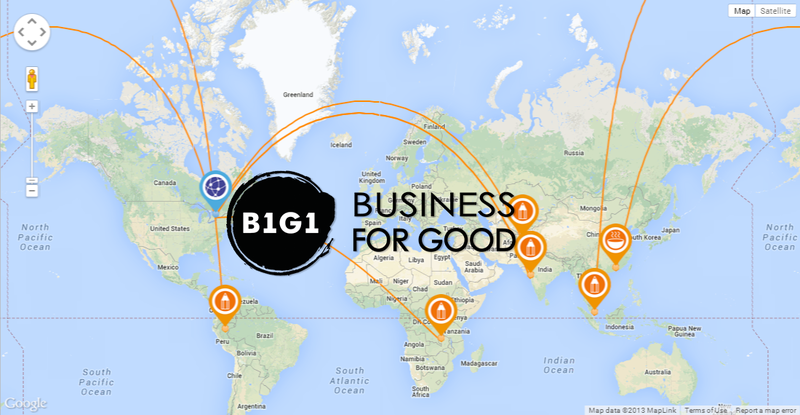 So, we proudly formed a Lifetime Partnership with the Global Giving Initiative Buy1GIVE1 -- also known as B1G1, “Business for Good”, where a portion spent by any new TCB client goes toward a wonderful cause. Specifically, with B1G1, TCB is making a significant impact in Malawi, Africa. There, our contributions seed and ignite new entrepreneurial projects. Some of the most exciting and innovative entrepreneurial thinking is coming out of developing countries, and we felt moved to support that. Impacts are being made much closer to home as well. Each year in Western Australia, my family and I support Variety, “the children’s charity”, an organisation committed to empowering local children who have special needs, are sick, or disadvantaged. Every year, as part of their Variety Bash and Creative Car Cruise events, we get the honour of driving classic cars through the stunning WA countryside, and raising buckets of money in the process. So far, we’ve topped $100,000, and just getting started! In a word, such money gives children freedom. Through Variety, children receive much needed medical and mobility equipment, as well everyday kid things, like camp scholarships and computers, so they can connect and participate in the wider world. So they can be the awesome children they are, no matter what deck of cards life handed to them. Here at TCB, we believe that following your dreams is a human right. Anyone with passion and aspiration, no matter what country they live in or what “disability” they have, deserves their shot at absolutely everything life has to offer.